Prepar3D Utility V8. 5. 9 Addit! Pro. For Prepar3D Addit! 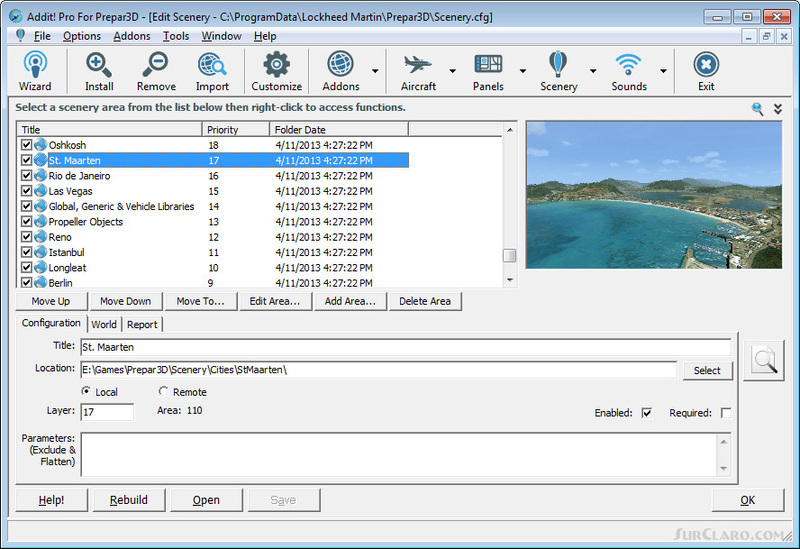 Pro is a comprehensive addon manager for Lockheed Martins Prepar3D. 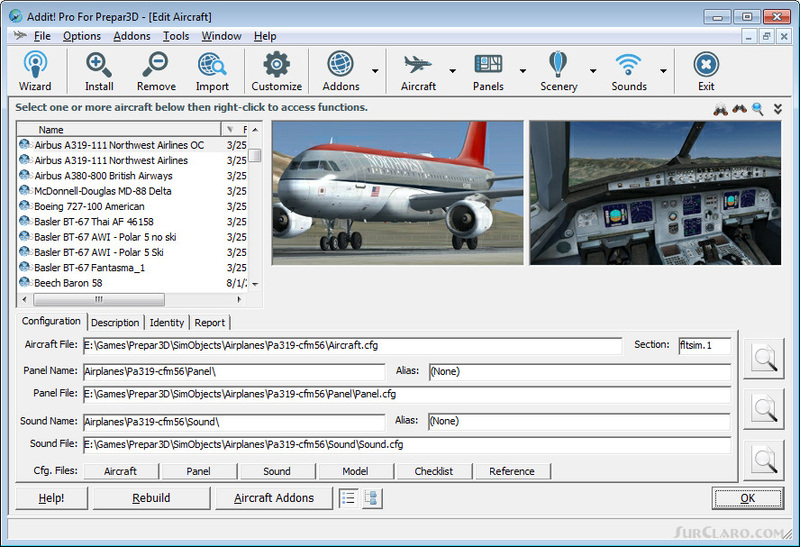 Easily install, manage and remove aircraft, adventures, flights, flight plans, gauges, missions, panels, A. I. airport and facilities data, scenery, sounds, textures, videos, weather and more! Simple wizard-based interface makes installing and removing addons a breeze. Comprehensive addon management allows you to archive, rebuild and remove addons. Addit! Pro is fast and easyno unzipping or file copying is necessary. 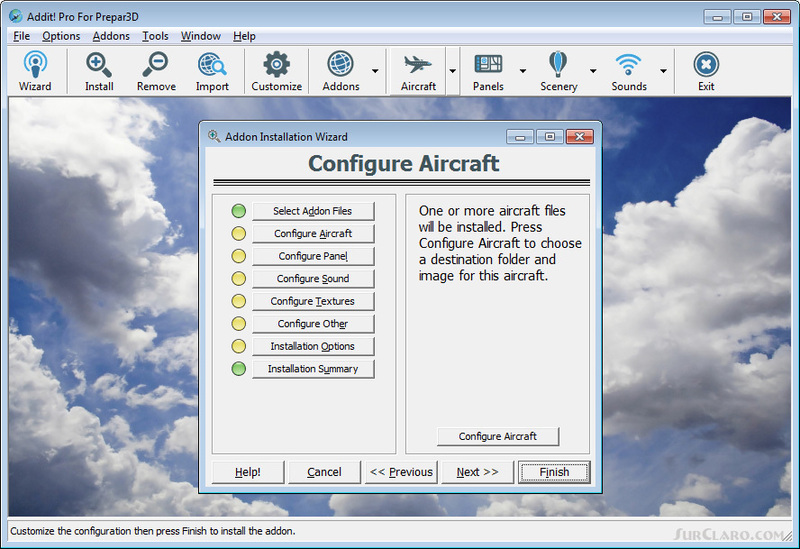 Modify all aircraft, panels, sounds and scenery. Let Addit! Pro tackle the tough chores and spend your time flying! Requires Prepar3D v4 v3 v2 v1. By Joseph Stearns. joseph. stearnsatbyteforge. com.